Producing human embryos in the laboratory for research purposes makes most people uneasy. Even those who tolerate the creation of embryos in test tubes so that infertile couples might have children will often have reservations about the creation of embryos to serve as experimental research material or to destroy them for their cellular parts. Twenty years ago, when a deeply divided government panel recommended allowing such research experiments on human embryos for the first time, even President Bill Clinton summarily rejected the idea. Two years later, Rep. Nancy Pelosi concurred in the Congressional Record: “We should not be involved in the creation of embryos for research. I completely agree with my colleagues on that score.” The proposal to engender human embryos by cloning has similarly drawn strong opposition from Americans for many years. Yet society’s views are shifting. Clinton, Pelosi and many others have reversed their views in recent years. Scientists and politicians now seem ready to draw ethical lines — and then erase them — as expediency demands. [Recently], with little fanfare, the journal “Nature” published a paper from a major research laboratory describing a study that would have been largely unthinkable when the embryo research debates first began in the early 1990s. Dr. Shoukhrat Mitalipov and his colleagues at Oregon Health and Science University described the creation of multiple human embryos in the laboratory for research purposes. Two of the embryos were produced by in vitro fertilization (IVF), and four more were generated by nuclear transfer or cloning, the same technique used to produce Dolly the sheep. All six of the human embryos were engendered for the purpose of “disaggregating” them for their embryonic stem cells to enable further study and detailed comparisons of their genetic and epigenetic patterns. If those human embryos derived by IVF or by cloning had not been destroyed, but instead implanted into their mothers, pregnancies could reasonably have been expected to ensue. Human embryos, our own progeny, surely deserve better than being reduced to a kind of raw material, a commodity to be used for research and commercial purposes. Embryos, of course, are strikingly unfamiliar to us. They lack hands and feet and voices. Even their brains have not yet developed. They look nothing like what we expect when we imagine a human being. But they are as human as you and I; they’re simply younger, smaller and more vulnerable. Embryos may not register with us on first glance; we may need to make a concerted effort to avoid disconnecting them from what we once were ourselves, given that each of us is precisely an embryo who has grown up. Human embryos ought to be accorded the same respect that every human being deserves, as a matter of basic human rights. Human dignity demands nothing less. Respect for our own progeny, then, will have the obvious consequence that human embryos should not be generated in the laboratory for premeditated destruction, nor for cellular cannibalization by scientists. [But] one might argue that the biomedical sciences have not yet lost their ethical footing, concluding instead that a few renegade and influential scientists have managed to hold sway over a silent majority of other researchers who actually harbor substantive ethical objections to human embryo research. In that case, we can hope that papers like the one published may trigger the research community to begin drawing some long overdue ethical lines, and to reign in some of their own rogue investigators. We can hope for a new measure of courage in taking the important step of joining science to ethics, and working to protect the youngest and most voiceless members of the human family from research exploitation. 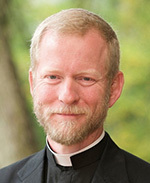 Father Pacholczyk is a priest of the diocese of Fall River, Mass., and serves as the director of education at The National Catholic Bioethics Center in Philadelphia.